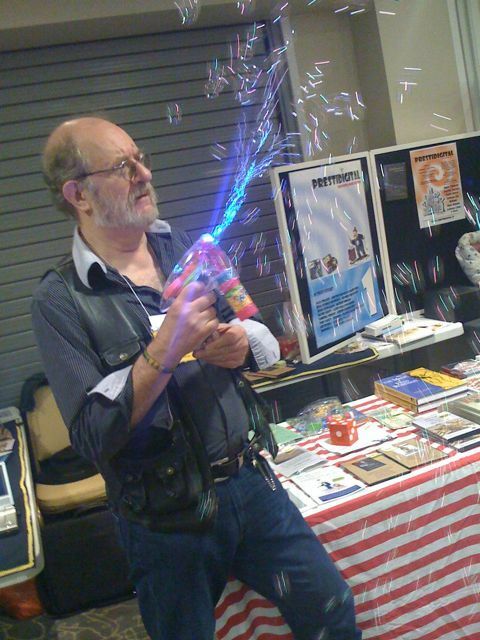 Russell demos his awesome new laser-bubble-automatic-gun at Southport IBM British Ring Convention. Full sales report to follow. Hi, Would love to own this item but do I have to be able to palm a card to use it? If so does it come with a palm free version? Yes there is a Palm Free version, however you need to wear loose fitting clothes otherwise the pull pulls.